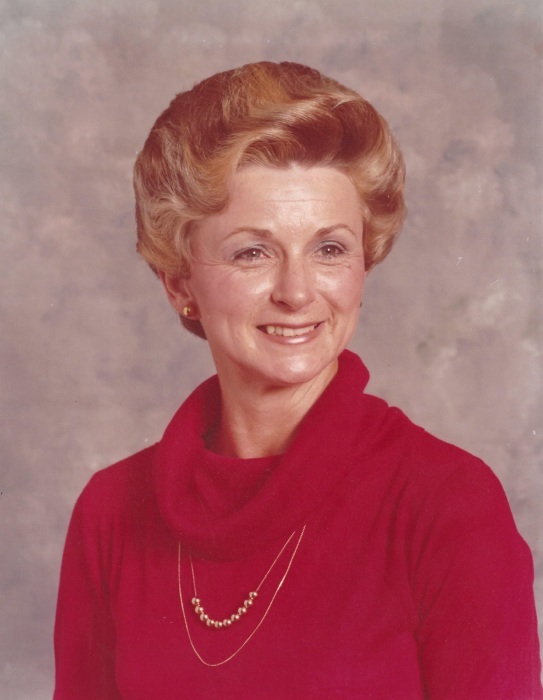 Judy Jones Viverette, 77, of Wilson, died Thursday, January 24, 2019. Funeral, Monday, 2:00 PM, First Free Will Baptist Church, followed by a time of visiting and sharing. Interment, Evergreen Memorial Park. She is survived by her husband, Charles A. Viverette; brother, Charles Craig Jones (Mary Lee) of Panama City, FL; nieces, Lisa Moorelock of Nashville, TN and Lori Cox of Panama City, FL; nephews, Steve Lucas (Melanie) of Boiling Springs, Chris Jones and Charlie Jones, both of Panama, City, FL; special aunt, Margie Barnes of Grifton; sisters-in-law, Georgianna (J.N.) Eason and Lois Viverette, both of Wilson; brother-in-law, Doug Viverette (Becky) of Wilson. In lieu of flowers, memorials are suggested to First Free Will Baptist Church, 4565 Nash St, NW, Wilson, NC 27896, or to Gideons International, PO Box 274, Wilson, NC 27894.